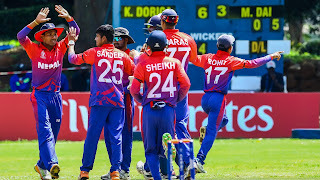 1) When will be Nepal vs UAE series started and End? - Start In 2019 January 25 and End on Feb 3. 3) How many ODI Matches will be played In This Nepal tours of UAE? - 3 ODI matches will be played. 4) How many T-20 Matches will be played In This Nepal tours of UAE? -3 T-20s matches will be played. More information will be updated soon. Join And Get Updated by us.